When Bob Dylan wrote that iconic song (The Times They Are A-Changin’) back in 1963, he couldn’t have imagined that it would apply so perfectly, 55 years later, to a social landscape of a different kind. Social media has revolutionized our culture, and it continues to evolve at a pace so rapid that many of us have a hard time keeping up with it. As marketers, it’s our job to keep up with social media trends. If we don’t, just like Dylan says, we’re doomed to sink like stones – losing the attention of important audiences and inevitably, losing out on revenue too. 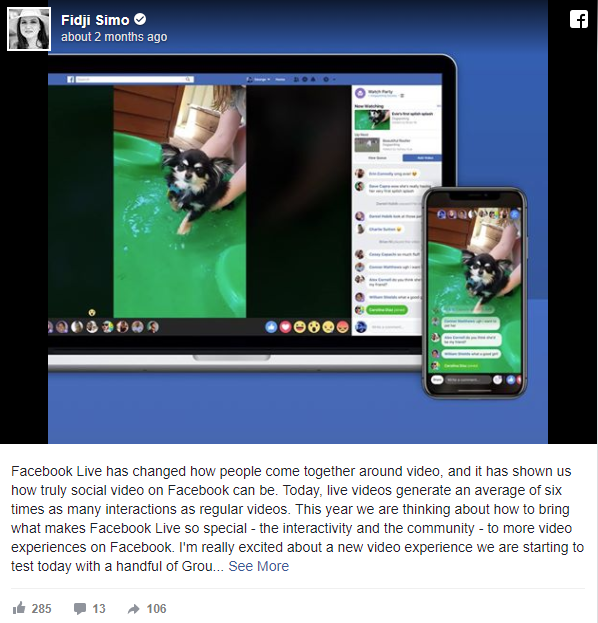 Other social platforms offer live video features too. All kinds of businesses and brands are using Facebook, Instagram and Twitter to live stream content, engaging users by including them at events they otherwise would not be able to see. Most people think of apps like Messenger, WhatsApp and WeChat as nothing more than an alternative to SMS or iMessage, but the marketing implications for these popular modes of quick communication are massive. An astounding 4 billion people use some form of alternate text messaging, and smart companies are utilizing this direct line of communication with individual customers in way that is transforming the face of customer service. The Hyatt chain of hotels, for example, is using Messenger as a means for guests to make reservations, ask questions, and get information for their trips. Texting apps are a faster and easier method for customers to get information or assistance they need from your businesses, and they’re a benefit to you in terms of cost efficiency and scalability. It’s a win-win idea, and it’s gaining steam. The effect is better when you have a virtual reality headset or viewer, but you get the idea. Customers get to see (and feel) the impact of their TOMS purchase in a meaningful way. The feel-good factor of this virtual experiences cements users to the TOMS brand in a way that only human emotion can. According to the Consumer Technology Association’s 2018 Tech Trends to Watch, virtual experiences are expected to generate up to 18% more revenue and 25% more units sold this year for companies that utilize them, so if you’re already dedicating some of your marketing budget to video, you should consider devoting a portion of it to virtual experience. Yes indeed, the times for social media marketing are definitely a-changin’, and these three examples barely scratch the surface of it. Want to know the other social media trends your business should be aware of in 2018? Hit us up for a meeting. We’d be happy to share. Previous #WJams - April 23rd, 2018 - "Friday Night Turn Up Tunes"